72 people have viewed this property this week. 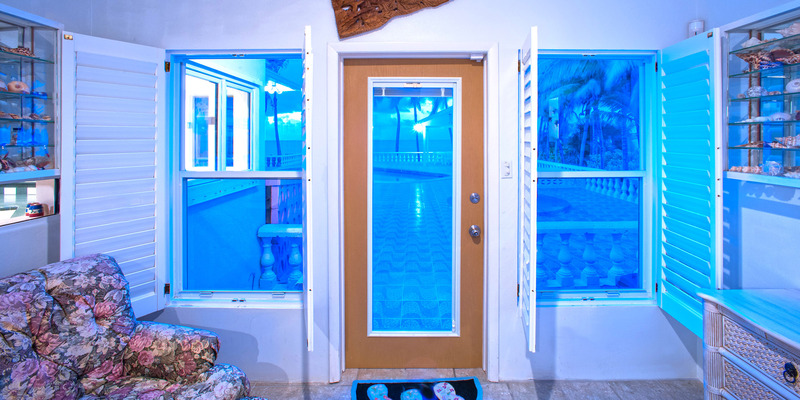 Large, oceanfront freshwater pool with a shady cabana offering table and chairs for reading, lounging or having lunch while the kids play in the pool or swim in the ocean. Accommodates up to 12 people, 10 adults max. Excellent large family villa as well as a 3-4 couple's villa. Twin beds can be made up as a king upon request. 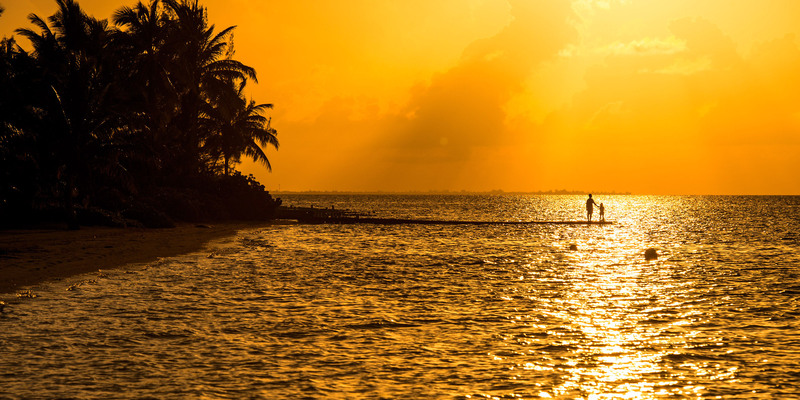 The sunsets here are wonderful, but the big draw to this area is the proximity to the Rum Point Club, a public beach club that offers a fantastic barefoot beach, watersports, a restaurant bar and grill, a gift shop and pick-up beach volleyball games. Also nearby is the Kaibo Yacht Club restaurant, bar and marina. Lastly, about 20 minutes east we have two large resorts (Morritts and The Reef) that offer manicured beaches as well as restaurants, a modern grocery store, liquor store, gift shops, a Subway sandwich shop, and a cafe/pastry shop. These two resorts also offer scuba, snorkel trips, jet skis, windsurfing, kiteboarding, ocean front pools and bar service. We rented Kai Conut for a big family trip on my husbands 70 bday. We had a great trip and the house, pool and beach were so wonderful! Plenty of space for all 7 of us to spread out and sleep well. Would do again for sure! Kai Conut could not have been better for our family reunion . There were 5 couples and it accommodated us perfect. We loved the location. Walking distance to Kaibo for morning coffee lunch dinner and excursions we booked. Walked across the road for beautiful sunsets at starfish point. The house was very private and views were beautiful. House was well stocked with anything we needed. We would all go back in a minute and highly recommend Kai Conut. Easy check in and out. Thank you for sharing and making such lasting memories. 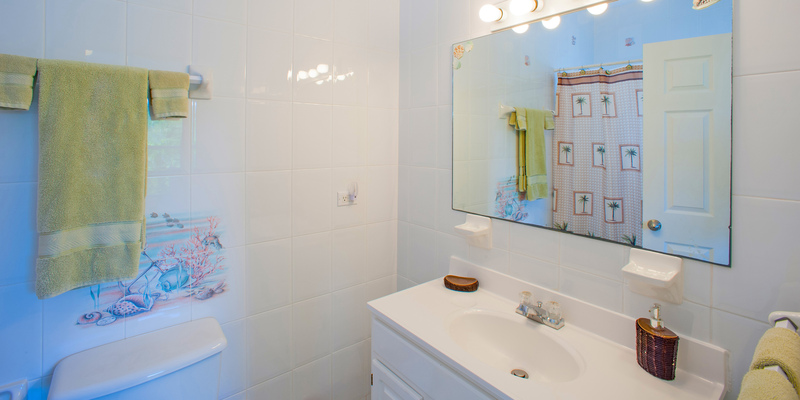 The property is well-cared for and the kitchen is very well-equipped. We spent most of our time on the huge patio with all of the tables, chairs and lounge chairs. The pool is perfect and the children loved it. Having our own private beach was fun, and the kids found lots of conch, a sting ray and other sea creatures. Everyone enjoyed the kayaks and paddle boards. The only reason for 4 stars instead of 5 is the distance from the airport, grocery shopping and restaurants. 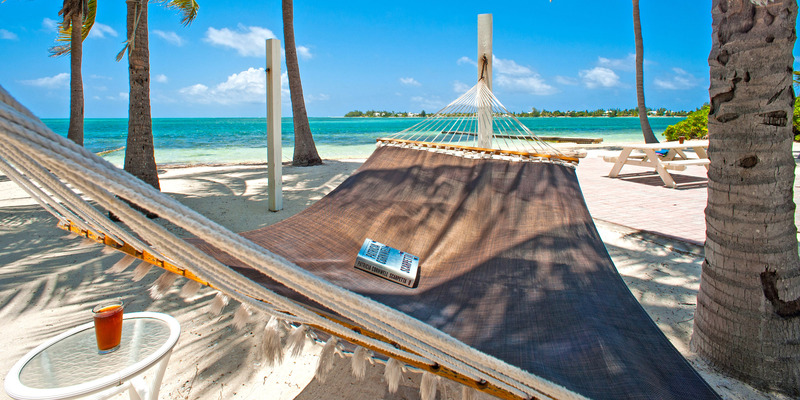 Although there are a few nearby, we missed our favorites on Seven Mile Beach. I recommend the Rum Point Club for a nice evening out. The food was wonderful. However, if you are looking for a nice quiet place to vacation, Kai Conut can\'t be beat! We are happy you enjoyed your stay at Kai Conut. Tough to knock the house because of the location. The beach at Kai Conut is a major draw for guests. 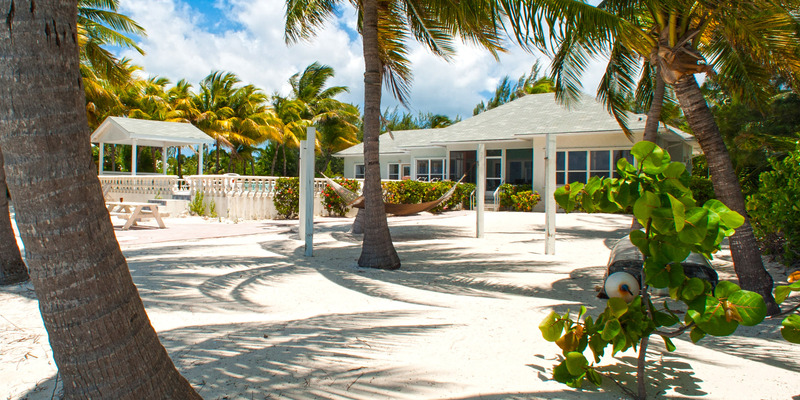 99.9% of the people who rent in Cayman Kai and Rum Point do so to get AWAY from the crowds, traffic and cruise ship people. There are wonderful restaurants in the area and several more across the top of the island. Starfish Point is a short beach walk away as well - nothing like that anywhere else on the island! Wonderful Multi -Generational Vacation Together! Three generations enjoyed a wonderful week at Kai Conut. 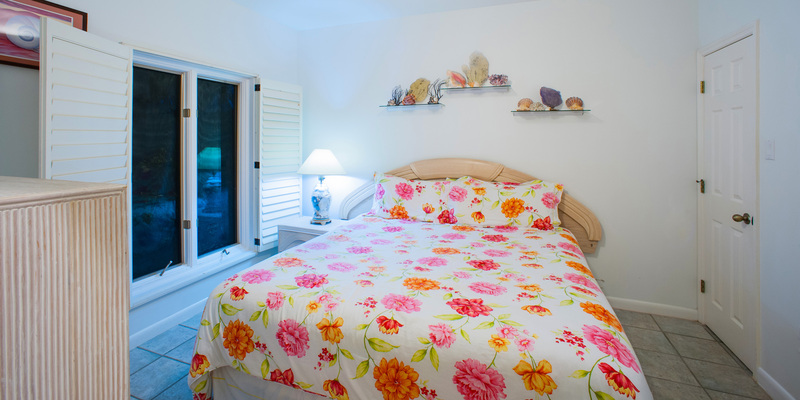 The property is well-cared for and we especially appreciated the spacious kitchen which was very well equipped. We spent most of our time on the huge patio with lots of tables, chairs and lounge chairs. The children spent hours in the pool. Our private beach was the scene of exploration of the local plants and sea creatures. The kids tasted fresh and cooked conch and drank coconut water and ate fresh and toasted coconut. Starfish Beach was walkable and a morning at Rum Point was fun. We walked to Kaibo Beach and Upstairs Kaibo restaurants. We didn\'t think the food was great, but Upstairs Kaibo is beautiful. Our favorite meal was at the Rum Point Club. 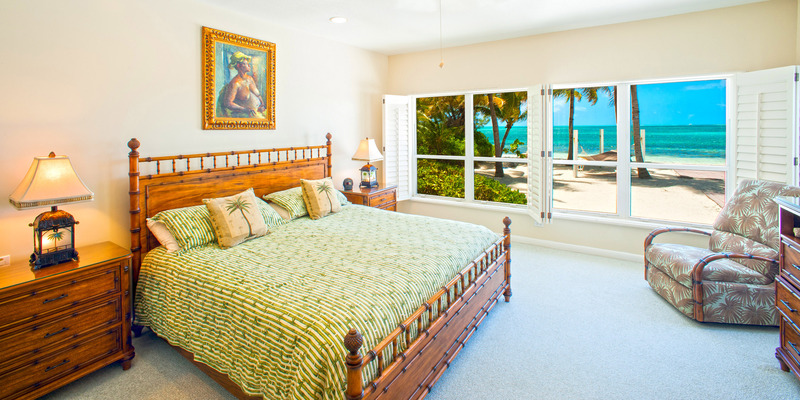 The only downside is the distance from the airport, grocery shopping and our favorite restaurants near Seven Mile Beach. But if you want a nice quiet vacation, Kai Conut can\'t be beat! Thank you for your kind review. Some wil view the 50-60 minutes to the airport as a bonus!!! Kai Conut was a fantastic experience from the moment we entered the villa. Although it was just my husband and I, the house was big enough for our daughter and grandkids to all have their own rooms if they had not had school. Unbelievable views from the house, outside area was very large with plenty of options for outdoor activities. Would have been a perfect 5 star rating if the fans on the patio had worked and we didn’t have a a/c leak in the front bathroom ceiling. We took advantage of all the great restaurants on the east end, especially The Lighthouse. Thank you for sharing your lovely home with us. Thank you for your kind words. We love having you as repeat guests! Overall, a good experience and a nice place to stay. Couldn\'t ask for a better location. Kaibo Marina is an easy walk down the street for drinks or lunch. 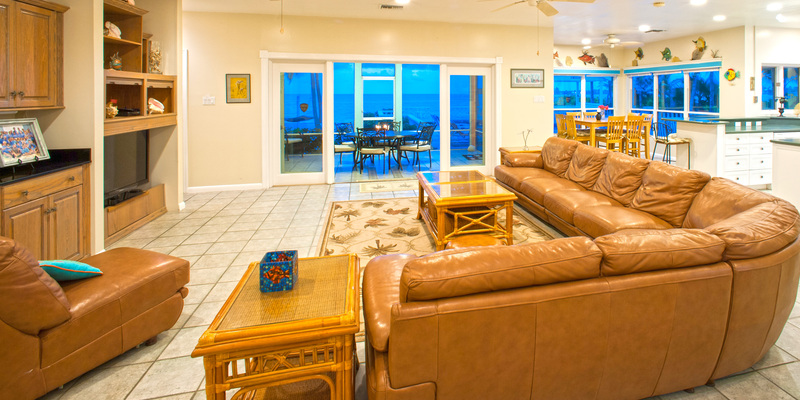 The house fronts the sound so you have a great view of the water and can even see all of the action of Sting Ray City off in the distance. The pool is a nice bonus for relaxing, especially at night. The house is fairly well equipped and the overall condition and experience was good. We did have a problem with the ice maker not making any ice for the first day. A call to Silver Thatch brought a delivery of ice in bags to compensate. Everything else worked great. Fantastic washer and dryer, AC cooled the house very well, etc. There were a couple of negative surprises. First, one of the bedrooms that opens to the living room has two openings in the top of the door. Literally the top two panels of the six panel door are cut out for some reason. This means that whoever is sleeping in that room has all of the noise and light from the living room coming into their room. And they have no real privacy. This was not a good experience for the couple sleeping in this room. I can\'t imagine why this door was cut this way, but it could be an easy fix for the owner: just replace the door with a solid door. Another minor disappointment is that the closet in the master suite is locked. This means that there is no closet for use of the renter which meant we had to have our suitcases and clothes out in the bedroom. I would rather see the owner set aside a locked closet in the laundry room, etc, for their owner\'s closet and allow the renter to have the bedroom closet to hang clothes, store suitcases, etc. 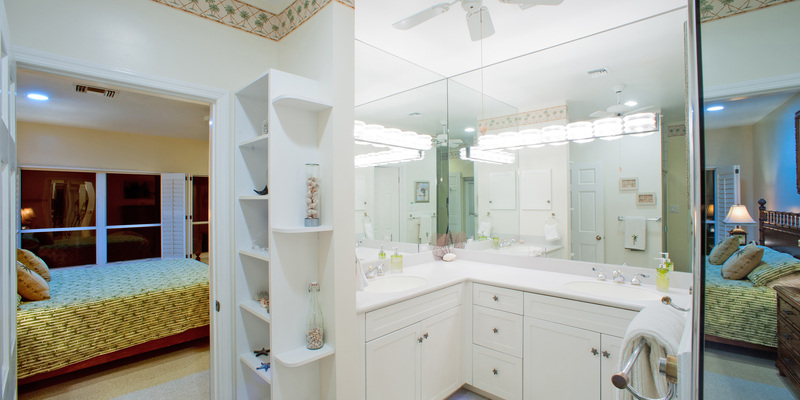 In fact, only two of the five bedrooms had closets available to the renter. Overall, the house was a good experience. Would stay there again if they replace the one bedroom door mentioned. Silver Thatch is a great company to work with and is very responsive to needs. The Perfect Home for Our Family Vacation! Wonderful home to stay at, the last home on the north side past Rum Point. The home was great and more than enough room for two families of four. It was very clean and neat the pool our kids lived in for the week. We didn\'t cook much at home but full kitchen for appetizers and drinks to have at the pool and beach. We spent several hours in the ocean and did go see the Sting Rays. we went out of Rum Point through Red Sail Tours as there was a total of 12 people on the Catamaran going to the Sting Rays so we spent a lot of one on one with them and the crew! Judy and her husband are the people who care for the house and they came buy often to see if we needed anything very wonderful people and quite helpful. 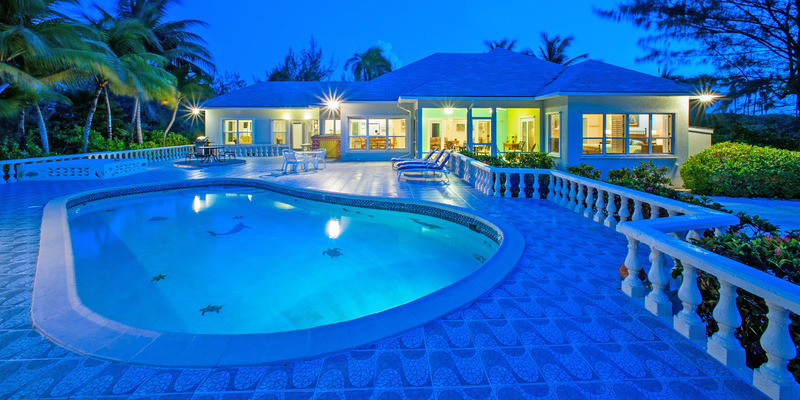 I would definitely return to the Cayman Islands and this home! Everything was in good working order. The pool and beach areas were well maintained. 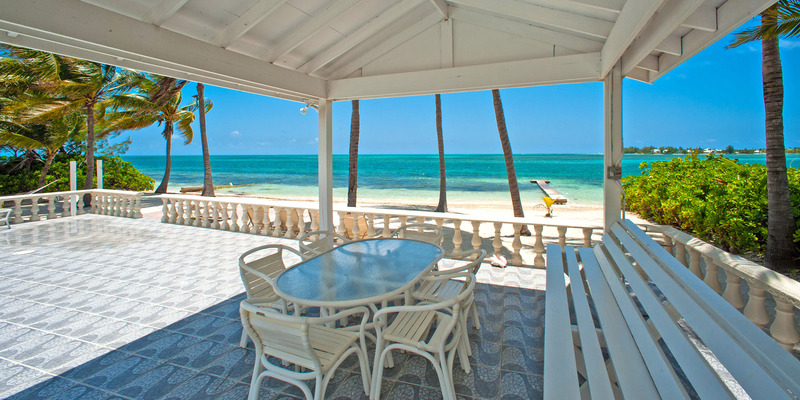 The views from the house and terrace were exactly what landlubbers wish for when they come to the islands! And the Grand Cayman weather was lovely. Perfect for kids and large families! All 12 of us had plenty or room! We will be back! Beautiful inside and out! 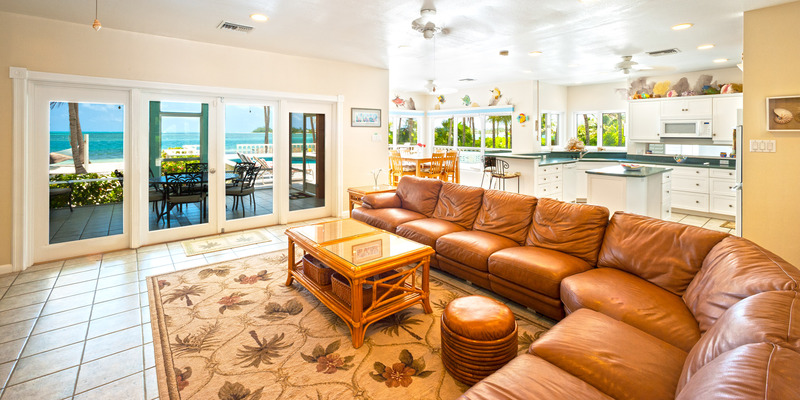 Spacious for our family of 12, with a beautiful pool, private snorkeling beach, 2 kayaks, 2 paddleboards, beach toys, beautiful patio and gazebo. Spacious interior with comfortable, beautiful furnishings. Well-equipped kitchen with many pantry staples. 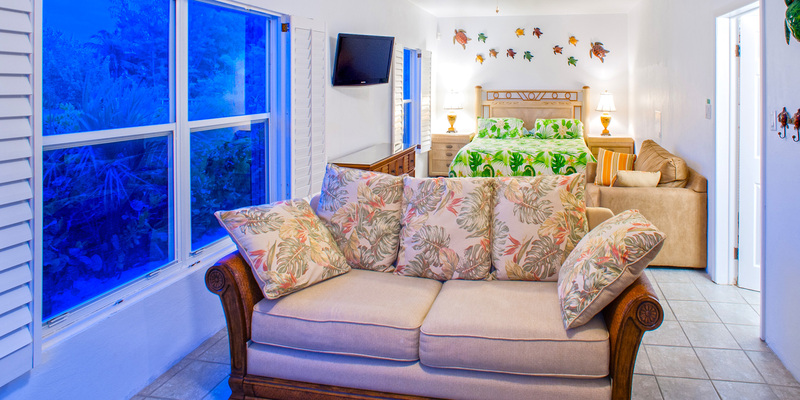 Comfortable beds, and plenty of bathroom and beach towels. Attentive manager who made sure everything was fine. We hired Chef Stephanie McLean (345-927-0314) one night who cooked a great, plentiful Caymanian meal that everyone loved. We used Red Sail Sports of scuba diving and a catamaran cruise to Sting Ray City. They were friendly and very professional. Kai-Conut was wonderful inside and out! 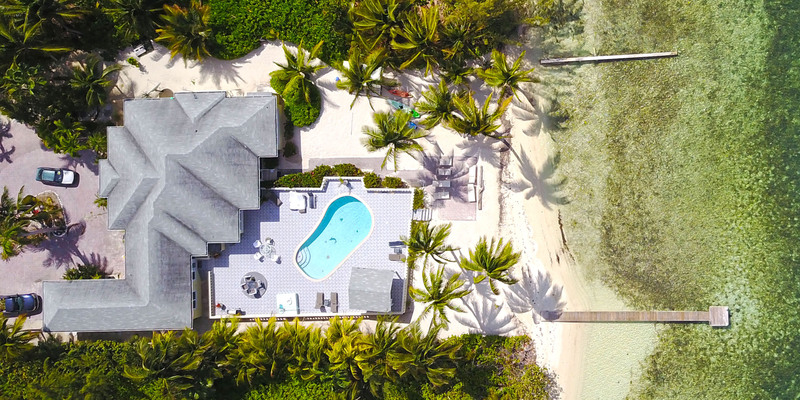 It was ideal for our family of 12, since it had a private swimming pool, private snorkeling beach, 2 kayaks and 2 paddleboards, swimming toys, hammock, games! The exterior was beautifully landscaped and furnished with chairs, tables and gazebo. The interior was beautifully furnished and decorated in comfortable furniture throughout. There were plenty of towels, dishes, and an incredible amount of kitchen appliances and pantry items (check before buying). It truly was a villa! The manager was prompt and attentive and made sure everything went well. Kai-Conut made our family vacation a dream vacation! My family and I stayed for a week in Kai Conut this Past Memorial Day and what a trip we had. 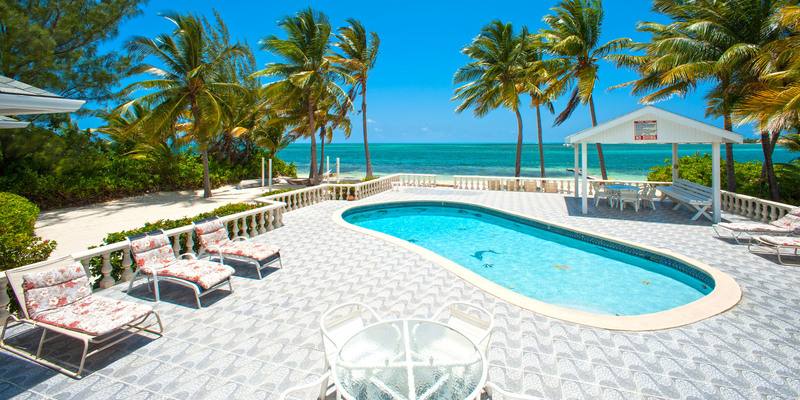 Kai Conut is the last house on Water Cay Rd conveniently located from Starfish Point and a short walk to Kaibo. We enjoyed every moment there at the house swimming in the pool and right off the beach. We had one issue with a paddleboard and they were out to fix it the next day but having the kayaks and paddle boards were a hugh plus. The villa of Kai Conut was great, it was in a secluded point with no other villas adjoining the property. It was very quiet and just around the point from Starfish Point with great snorkeling. Also very close to Kaibo beach and rum point. 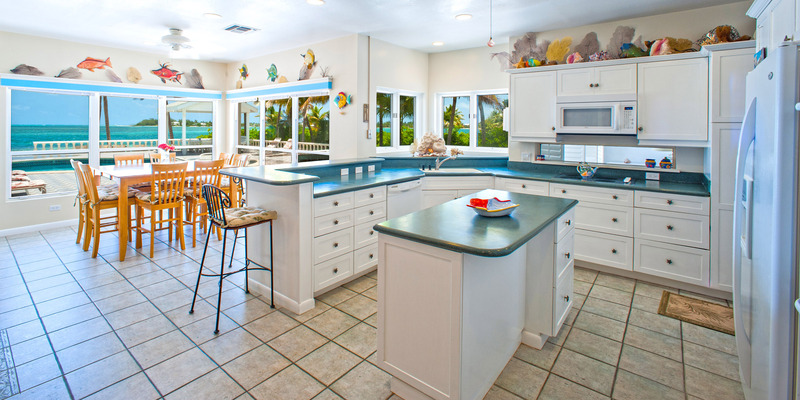 The villa was well equipped in the spacious kitchen and had great supply of beach towels and linens. The living room was large and had great views. Pool was great along with the view of the sound and great sunsets. The villa had two secluded master suites which were great. The property Manager was helpful and came by on the first day to insure everything was in order. All other services provided were great and villa was in good shape. Thank you for the feedback. The owner has purchased a n ew King bedroom suite that will be delivered in July. 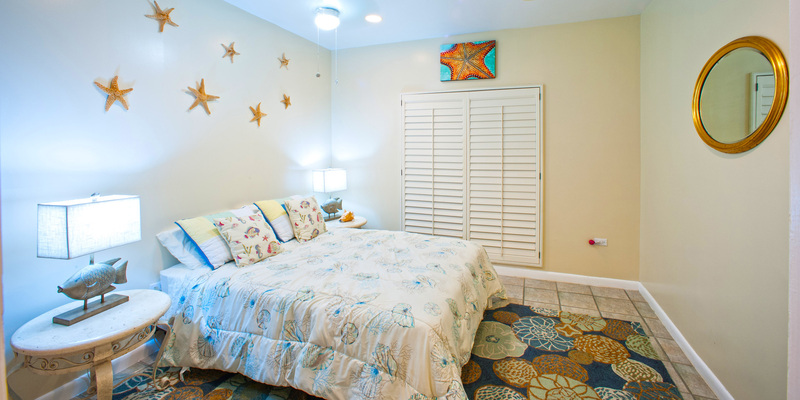 Updates to bedding in all bedrooms will be assessed in July as well. Please come again!!! We had a great time. The house was perfect and the location was ideal. The house was equipped with everything we needed. We spent most of our time either in the pool or playing on the beach. If the wind was up and we wanted to snorkel or kayak, we could just walk across the street and the water was perfectly calm on the other side of Starfish Point. At night, we would have dinner either outside, or on the screened in porch, and we could have a few drinks and play in the pool in relative privacy every night. We were surrounded by locals over the Easter weekend, which was all well and fine. They were very friendly and some offered to take us to Stingray City. Had an issue one night when someone broke into the house and took a few items while we were sleeping. One of our guests caught him in the kitchen and he ran off without further incident. Of course, it is a downer if you have to deal with police on your vacation, but this doesn\'t seem typical of the Cayman Islands and we took it as a one off. The manager, Judy, was very helpful and considerate. Overall it was a great vacation and we will go back. 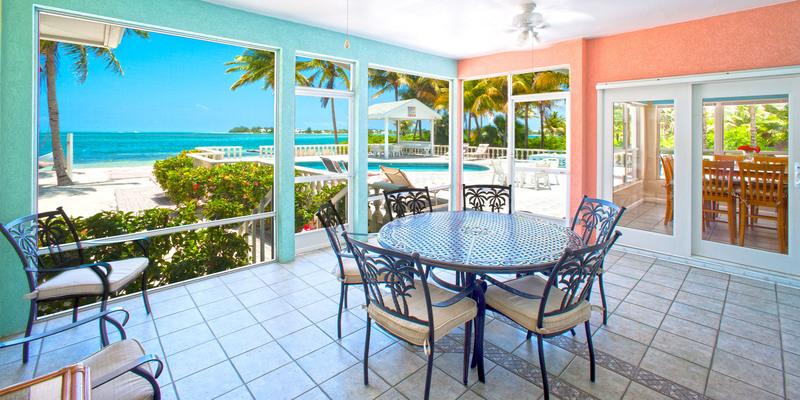 The first thing you see when you walk through the door is the beautiful patio with swimming pool and the stunning Caribbean ocean just beyond! 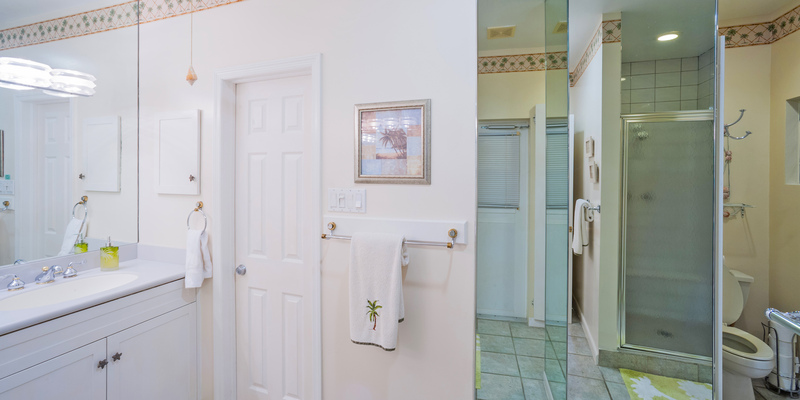 The house is spacious, the kitchen has updated appliances and every pot, pan and utensil you can think of available. The rooms are nicely decorated (love the island paintings!) and everything is clean, comfortable and in excellent condition! 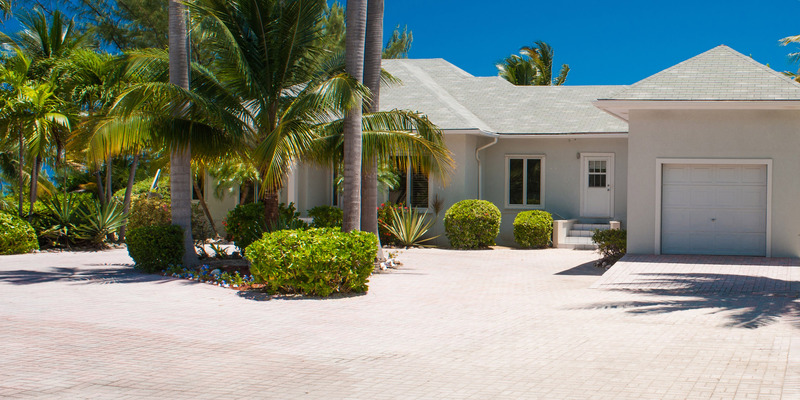 The location is perfect for providing privacy and within walking distance of Starfish Point, Kaibo Beach Club and Rum Point. We all loved our stay and would enjoy coming back! We rented a crib from Empty Suitcases, ordered groceries to be delivered from Cayman Shoppers and Judy Ebanks did an excellent job of coordinating everything for us. I have stayed on the island many times. This is my first time staying in the Kaibo area, but have visited Rum Point on several occasions. This home is located at the very end of the road. 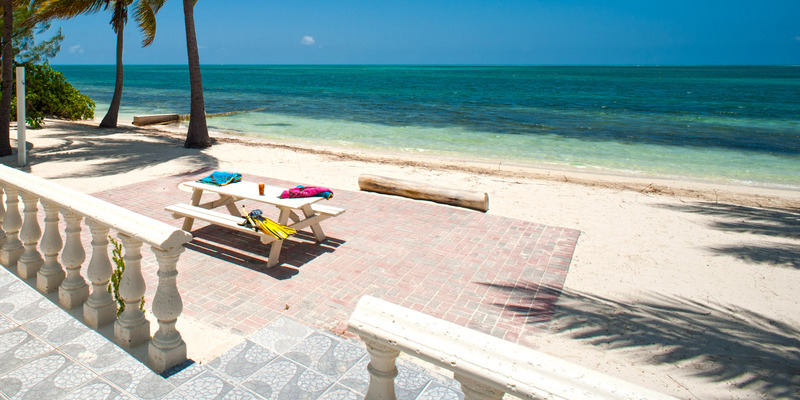 When you make the turn around at the end of the Water Caye Rd, you are at Kai Conut. This house is not super fancy like many of the homes in the area. However, it is so very comfortable. I felt like I was at home. The pool area was fabulous. We spent most of our time around the pool as the ocean has grass and rocks in it. Judy, the manager of the property, came over once to drop off an extra key and showed us how to use some of the outdoor lighting. Besides that, we never saw anyone and never had any problems. It was a quiet and restful location. You will see others that have posted that the kitchen is well stocked, without much more of an explanation. I would like to elaborate a little. There are enough plates and bowls to feed an army. There were lots of spices, a drawer with flashlights, a small first aid kit, and on and on. The amount of beach towels was incredible and they have two kayaks, two stand up paddle boards and a small metal boat. It truly was well stocked. Again, not fancy, but homey. Felt comfortable from the time we walked in until the moment we left. If you are looking for a quiet comfortable place to relax, this is it. The house was perfect for our family, very private and quiet. We loved the use of the kayaks and paddle boards for the teenagers. Easy walk to Starfish Point, and right down the street from Kaibo Yacht Club and Rum Point. The house had everything we needed and the rental company was well organized and gave us a great deal of info for our trip. Thank you all for a fantastic vacation. Absolutely Perfect for us! #10 out of #10! This was absolutely wonderful and a lovely home and area to celebrate an 80th birthday. All 11 of our family were so comfortable whether we were in the outdoor porch, the dining room, living room (sofa will accommodate 7 adults and 4 children!) or in the pool. Not the place to go if you want busyness, shops, etc., but rather quiet and privacy. Kitchen had everything we needed and more. And the sunsets at Starfish Point - not to be missed!! Hope to return sometime. I hope I can find the words to describe how wonderful our vacation was at Kai Conut. We were a family of nine - Grandpop and Grandmom , three adult children, and 4 grandchildren, ages 14, 8, 5, and 22 months. First of all, the house was absolutely perfect for our family - large enough for us all to spread out, yet cozy enough to really have together-time. Everything we needed and more was provided - plenty of towels, kayaks, paddleboard, snorkel equipment (although we had our own), sand and pool toys, and a VERY well equipped kitchen. The home and location on a sandy beach were both perfect for small children. The best part was that we were walking distance to Kaibo Beach Bar which we frequented often. Good food and a fun atmosphere. Rum Point is very close, but too long of a walk for the little ones. We did spend a day visiting Seven Mile Beach. When we got back to Kai Conut, we all commented that we were so happy that we were on the north side of the island where everything was more private, quiet and tranquil. I would highly recommend Kai Conut for a fantastic vacation!. The grandkids can\'t wait to go back, and our daughter posted on FB, \"Quite possibly the best vacation ever\" and she has traveled extensively. If you go to GC, I highly recommend Nick\'s Private Charters for a wonderful morning or afternoon snorkeling and visiting Stingray City. Nick and Noel was so accommodating and made sure we were all having a great time which we surely did. A visit to Cayman Turtle Farm was fun for the kids. Great home in a super location on a beautiful island! You\'ll love it! Our stay at the Kai Conut was an excellent experience. Our group included 6 adults and 5 children under 6. Having experience traveling around the world and being routinely "underwhelmed" upon arrival after booking a rental I was pleasantly surprised to see that the interior actually looks better in person. The kitchen was fully stocked with anything needed to cook, had two blender, new full size washer and dryers, multiple flat screen televisions for the kids to watch movies in the evenings. The pool area also offered a nice covered/lighted area for the evening. 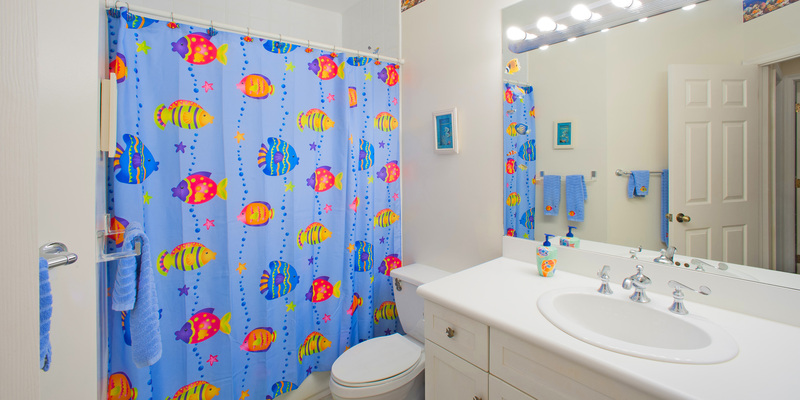 The house had ample beach towels, linens, pool toys, snorkeling equipment (may want to bring your own) etc. Upon arrival the home was very clean and its condition was better than promises. The home's a/C worked perfectly the whole time as did everything but the hot water. We enjoyed our stay so much that we didn't bother to notice that the hot water heater was simply turned way down to save energy when the unit was not occupied. The house was also very close to a nice restaurant (Kaibo) which you can walk to if you over indulge. The home was also very close (approx. 1 mile) from Rum Point. There was also a small grocery store (Christholms about 5 or 6 miles from the home. The beach and snorkeling off of the homes back yard were great. The kids all ended up in the pool most of the time which was well maintained and clean. Working hard to find something negative to mention is difficult. The only recommendation is that for large groups you should agree on who gets the best bedrooms before arriving. 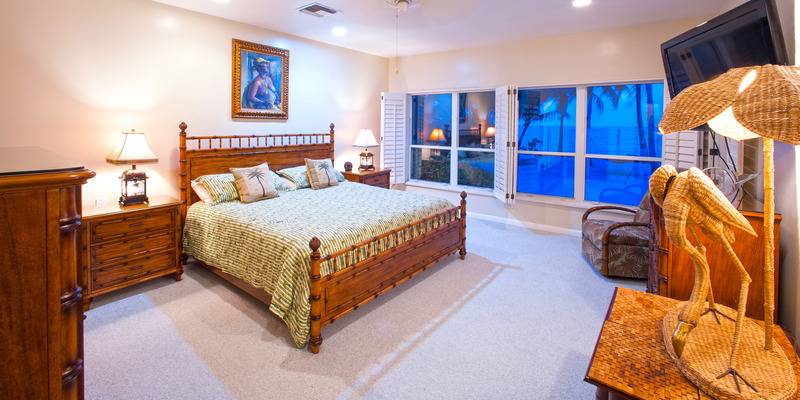 The home has a fantastic master suite on the NW corner facing the beach, this room has a full size bathroom with shower and separate toilet. The second best room is the bedroom suite on the far east side of the house. This bedroom has a small bathroom with a standard bathtub and toilet. The next three bedrooms are nicely furnished but are do not have their own bathroom and are smaller than the other two bedrooms. Our entire group was extremely pleased with the facility and loved that it was a fun/safe place for the kids to have a great time. We would all return again. Twelve persons arrived at the Kai Conut villa and it was ready for relaxed living.Weather was tropical rainy but did not keep us down. Used the time to tour the island and went to Turtle Farm then Tiki beach and sample the exquisite island foods and drinks...also did the tourist shops and went to stingray city and starfish point. It was absolutely beautiful.Had plenty of room to relax and spread out throughout the many living areas. the den sofa pit was perfect for visiting and relaxing with family and playing games. We had plenty of water shoes, floats, life jackets, snorkels, flippers,beach towels, eto to make everyone feel comfortable...it was easy to get the laundry started early before we left the villa. Loved the villa...will be back again!!! thank you Judy anne...Your touches are so perfect and right on!!! we were so comfortable in our own little corner of paradise...the best vacation ever!!! Enjoyed the privacy of beach on North Side...dined @ Kai Bo; Over the Edge, and Tukka...Loved the quaint eateries!!! Great people throughout the island...will come again!!! We had a fabulous 5 days in KaiConut. The villa it's self is beautifully presented and extremely well equipt the pool was perfect and the toddlers loved it. 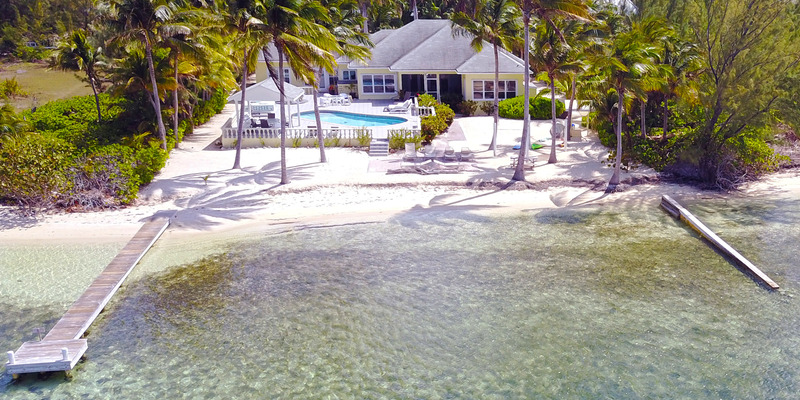 A few steps down and your on your own private beech with views of clear blue water, palm trees and your own private dock. We chose Kai Conut for our wedding and got married on the beech under the palm trees, Idyllic! 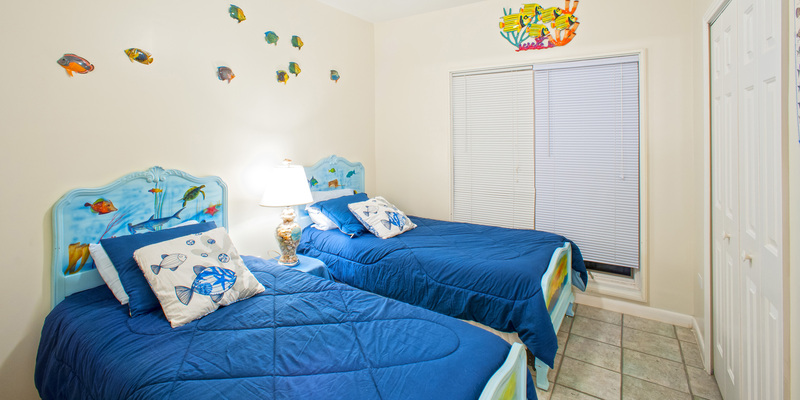 The villa was located just a short walk from Star Fish Point and Kaibo restaurant was only a few minutes away. 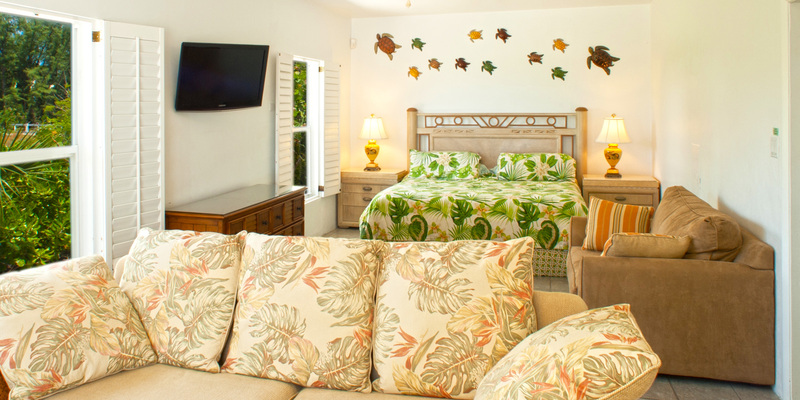 The team at Grand Cayman Villas was very helpful and also helped us sort out additional guest accommodation. We had a fabulous time and would definitely go back, if only it was a little closer to the UK!